Last week’s column about the Porto conference on Climate Change and Wine struck an optimistic note. Powered in part by the Porto Protocol the big international gathering showed that the wine industry is moving the needle on climate change, both in terms of mitigating the impacts and addressing causes. Sue and I learned a lot from the experts who spoke on the science and technology aspects of climate change and wine, but of course it was the business side we were most interested in. If you have a little time, for example, I recommend watching the video of the session on “Consumer Expectations and Sensible Marketing” featuring Marks & Spencer’s Paul Willgoss, Antonio Amorim of Amorim Cork, and moderator Richard Halstead. “Economy & Efficiency: Call to Action” was the title of the final session on the second day, which featured Stephen Rannekleiv of Rabobank, Robert Swaak of PriceWaterhouseCooers, and me as speaker/moderator. I led off the discussion, focusing on the need to rethink the relationship between economics and the environment and issuing a call to action. Stephen was next up, showing how Rabobank has gone beyond its traditional role as an agricultural lender to creating platforms where innovative solutions can be tested and developoed. He followed up with a program on this subject on the popular Rabobank beverage industry podcast Liquid Assets. Robert’s powerful talk covered several important points, but was especially effective in developing the notion that climate change introduces or magnifies a number of risks, which wine businesses need explicitly to take into account and act upon. As I wrote in the run up to the conference, Sue and I were interested in the trade show that took place along side the sessions. We were hoping to see a showing of the products and services that vendors provide to firms that are committed to climate change action. What we found was different from our expectations. The trade show mainly gave conference sponsors (see graphic below) an opportunity to demonstrate their commitment to the cause. We were a little disappointed, but I think we harbored unrealistic expectations. Vendors are more likely to put their efforts into meetings that attract thousands, not hundreds, of wine industry actors. The Unified Symposium in the U.S., for example. Or SIMEI in Milan. We will look closely when we are at these and similar events to see to what extent climate change is being integrated into the daily business of wine. The “Demolition Man” Syndrome: A Vision of the Future of Wine in America? I’ve been catching up on my wine industry reading and one report that grabbed by attention is Rabobank’s May 2016 Industry Note, “The Premiumization Conundrum”. The gist of the analysis is that the premiumization trend in the U.S. wine market isn’t simply a case of what Paul Krugman calls “up and down economics” — in this case demand for $10+ wine is up, demand for cheaper wines is down –but rather it needs to be understood in the context of a broader set of wine market changes. As I was reading the Rabobank report I began to wonder how these trends might unfold if continued at their present rates well into the future. In other words I was doing exactly what economists are trained not to do, which is engage in straight line projection. The future is out there somewhere, but it is almost never on a straight line that connects the last few dots on your time-series chart and then continues on out to infinity … and beyond. But humor me with a little thought experiment. What might the future look like under the admittedly unlikely “straight-line trend projection” circumstances? Take today’s trends as Rabobank reports and fly them straight out to wherever they take you. Pondering this thought, I unexpectedly found myself channeling a 1993 Sylvester Stallone, Wesley Snipes, and Sandra Bullock film called Demolition Man. Stallone plays a police officer named John Spartan who was put into suspended animation only to be awakened 36 years into the future in 2032 in order to catch Wesley Snipe’s bad guy character. Stallone’s updated Rip Van Winkle encounters a lot that surprises or shocks him including, as in the film scene above, the inconvenient truth about retail consolidation run amuck. Invited to dinner and dancing at a Taco Bell, he can’t help but think, Taco Bell? Really? But it really is, as Bullock’s character explains. Taco Bell was the only chain to survive the franchise wars and now all restaurants are Taco Bells. “No way!” Way! Rabobank’s report notes a number of important trends that, if taken to a ridiculous Taco Bell kind of extreme, might produce something that Demolition Man would recognize. Here are three that I can’t help pondering. The fictional John Spartan goes shopping for wine in 2032 San Angeles and the first place he sees is a big box MoVin store, bigger than the biggest wine-beer-spirits stores of the past, but recognizably the same concept. He continues on in search for a small, specialist shop, but soon runs across another MoVin. And then another and another and slowly it comes to him that just as all restaurants are Taco Bell, all wine is now retailed by MoVin. How did this happen? Well, as the Rabobank report notes, all of the growth in off-premises retail sales of wine in the U.S. in the last couple of years has come through retail chains, not independent shops and stores. Take away BevMo, Total Wine, Costco and other multiple retailers (I assume Kroger fits here, too) and Rabobank’s data show off-premises wine sales would be flat. Follow that trend to its illogical extreme, with the chains seizing market share each year, add logical pressure to consolidate and — hey, presto! — you have a retail wine monopoly. How did MoVin win this fictional competition over other chains? Because, in this made-up universe, they drew upon the growing consolidation in distribution channels (another Rabobank finding). Yes, all wine is sold by MoVin in 2032 because they are a wholly-owned subsidiary of NSEW (North-South-East-West), the only company to survive the vicious distributor wars of 2021. There are lots of different super-premium brands on offer at the big box wine store of the future, but the vast array of colorful labels and fictional names actually disguises a certain sameness. Much of the wine comes from the same few large producers, the ones who were able to able to secure reliable quality grape supplies in the grape wars back before 2022, when the last independent North Coast vineyard was swallowed up. The imperative to lock up vineyard resources is another of the trends that Rabobank spotlights and it is natural to wonder where it will all end. But that isn’t the only source of concern. When John Spartan looks closely at the super-premium white wines that he favors (because they pair so well with his favorite Taco Bell fish tacos), he slowly realizes that they are all made by a few large multinational firms in New Zealand. Just as Taco Bell conquered food, the Kiwis were the victors of the white wine wars. The one constant of U.S. wine import statistics in recent years has been that New Zealand Sauvignon Blanc imports will grow, often faster than any other import category. I keep waiting for the run to end (and I know Kiwi producers who hold their breath and cross their fingers because they are worried, too). But nothing has stopped or even seriously slowed down New Zealand wine imports so far. And you know where that can lead! You Want Grapes with that Wine? What about inexpensive wine? Glad you asked because that’s where John Spartan had his harshest shock — it made him want to give up wine altogether. It seems that as grape supply became less and less secure and falling prices pushed basic grape producers to other crops like almonds and pistachios, wineries were forced to weaken links to particular regions and then to grapes themselves. Appellations and geographic designations generally are an expensive luxury if you’re not sure if you can buy the grapes you need to maintain a region-specific brand, so they had to go. And then wine companies gave up specific grape variety designations for the wines for essentially the same reason. All inexpensive wines in 2032 are now proprietary blends. No one knows what might be in the bottle, box or can or where it might have come from. Not many seem to care. Absent place of origin and clearly-identified grape variety components, inexpensive wines evolved into branded alcoholic beverages and, once consumers accepted that, there wasn’t any reason why they had to be made out of grapes any more. The laws were re-written to allow inexpensive wine-like products to be made and marketed and people lapped them up. Wine for the masses endured, but in an ersatz Taco Bell kind of way. Or at least that’s where bad economic analysis (and not enough sleep) takes you if you follow recent trends to ridiculous extremes, which I have done here just for fun, but the Rabobank report definitely avoids. The future? Taco Bell? No Way! That’ll never happen. Don’t worry. Go back to sleep. G’night! Thanks to New York Times columnist Thomas Friedman, who indirectly inspired this column. He told the story of the “Demolition Man” Taco Bell scene in his best-selling 2000 book about globalization, The Lexus and the Olive Tree. California Conundrum: The Best of Wines, The Worst of Wines? These are the opening lines of my 2011 book Wine Wars and if you change “global” to “California” they apply very well to the situation today. That’s why I will be in Napa Valley next week, speaking at the California Association of Winegrape Growers‘annual meeting summer conference (I’ll paste the conference program at the end of this column). There’s good news for California wine these days and bad news, too. When is a Drought a Good Thing? The good/bad – best/worst situation exists in several dimensions. Take the case of water. The on-going drought in California is on everyone’s mind, but its impact has been very different in different regions. The recent news from Napa Valley, for example, is that the drought can be beneficial in terms of wine quality. Smaller grapes, the story goes, produce more intense wines. 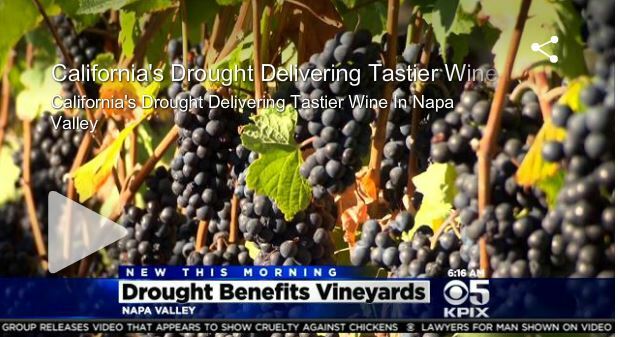 Good news for those who drink or make Napa Cabernet, we are told. I can’t tell you how many of my friends have told me how amazing it is that four years of drought are actually good for California wine! Really? Well, I’m amazed too, but because there much more to California wine than Napa Valley. To focus just on Napa and the North Coast as many articles have done is misleading about the overall situation. Napa Valley produces a lot of wine, but it is more or less a drop in the bucket compared with the huge wine production in other parts of California where the drought situation is very different. Higher costs and lower yields are not good news to most California producers, who are less able to extract a quality premium and suffer falling margins. Many winegrowers have grubbed up their vines, in fact, switching to higher-value crops in the face of poor winegrape profitability. Paradoxically, however, some farmers are actually switching into grapes from other thirstier or less drought-tolerant crops, presumably because they see scarce water as a long term trend. It’s a complicated situation. Changing market conditions add to the good news/bad news conundrum. 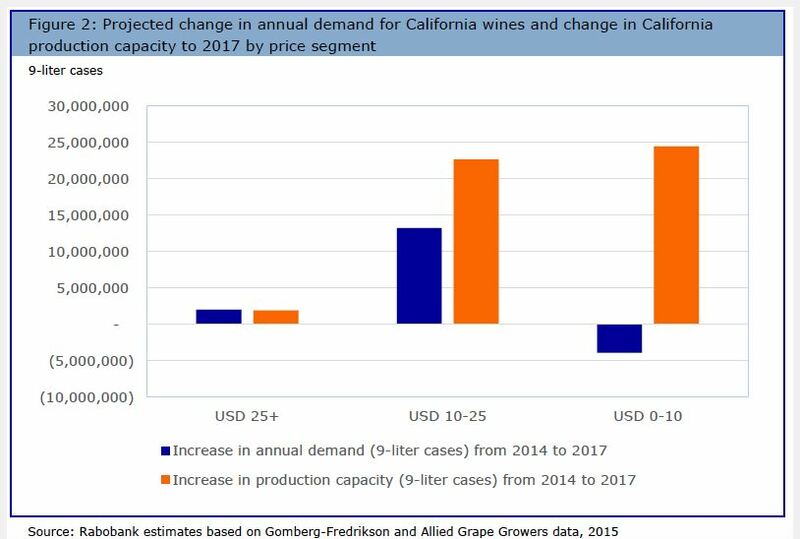 Rabobank reports that the current excess supply situation for under-$10 California value wines (as opposed to higher-price North Coast and mid-price Central Coast wines) is likely to go from a worrisome problem to a real crisis in the next few years, as this graphic suggests. A recent report by Allied Grape Growers reinforces this message. AGG President Nat DuBuduo noted grape prices as low as $15o per ton in the San Juaquin Valley and as high as $6000 per ton in the North Coast. Part of the problem is that, for reasons I discussed earlier this year on The Wine Economist, the momentum in wine demand has shifted to premium and super-premium wines with lower-priced wine sales stagnant or falling. At the same time, however, potential production of value wine is about to increase dramatically because of vineyard decisions made a few years ago when market conditions were much different. Rabobank estimates that 100,000 acres of currently non-producing wine grapes will come into production in the next three years. That my friends is a lot of wine to sell. Where is the increased acreage? Don’t look in Napa Valley, where rising demand and limited supply push prices higher and higher. Some of it is in the Central Coast, according to Rabobank, where demand is rising to potentially match the larger supply. A lot of it is in the Central Valley when California’s value wines are produced and where prices are already low. This emerging wine lake will add to the current problem of full tanks and lackluster sales of value wines. Bad news for Central Valley winegrowers who are most affected by this pattern. Best of wines, worst of wines? The Rabobank report suggests a building crisis in one part of the California wine industry while it’s happy days in the North Coast with Central Coast wine seeking to balance rising demand and supply. My job at the CAWG meetings will be to analyze the international and global aspects of the complicated situation and my remarks will suggests that this is a time of great uncertainty on these fronts, with important risks that might not come from usual sources. Combined with what the other speakers will offer I think it will be a great discussion. Here’s the agenda for the sessions. Hope to see many of my California wine industry friends in Napa. Wine Market Update and Insights explores the interplay between current trends in U.S. wine consumer behavior, the influence of foreign wines in the U.S. market, and what California growers and wineries need to do to stay competitive. Mike Veseth, Editor of The Wine Economist and John Gillespie, Wine Market Council president, will speak. How Do We Grow the Market for California Wines? Wine consumption in the United States continues to grow, but that growth is unevenly distributed and competition in the domestic beverage alcohol market is fierce. California winegrape growers must compete with foreign wine growers, and domestic producers of craft beers and distilled spirits. This session will consider the current trends, conditions and future views on wine industry growth, consumer demand trends and how growers and wineries must position themselves to compete and grow market share here and abroad. Amy Hoopes, Chief Marketing Officer/Executive Vice President, Global Sales, Wente Family Estates and Rob McMillan, Executive Vice President and Founder Silicon Valley Bank Wine Division, will speak. Update from Washington, DC will highlight a variety of federal policy issues, including taxes, water, immigration and more. Louie Perry, CAWG’s federal lobbying team member from Cornerstone Government Affairs in Washington, DC, will provide the update. The View from Trinchero Family Estates will be the luncheon keynote address from Bob Torkelson, president and COO of Trinchero Family Estates. Mr. Torkelson will share his insights and analysis on leading industry trends and issues. The 41st Annual Business Meeting will take place after the speaker program, during lunch. My copy of the second edition of Michael Cooper’s Wine Atlas of New Zealand arrived this week and I am having trouble putting it down. Cooper’s coverage of the wines, the wineries, the people, the industry and the market is exceptional. And it is stunningly beautiful, too, with excellent maps and spectacular photos. A coffee table book in terms of size and weight, but with real substance. One of the two best regional wine atlases I own (the other is Burton Anderson’s Wine Atlas of Italy, which is still a valuable reference 20 years after its publication). I’ve always been fascinated by the New Zealand wine story — how a tiny (0.5 percent of global output) wine producer at the far corner of the earth could become a leading global brand (a NZ wine is the #1 Sauvignon Blanc in the US) and earn the highest average export price of any country in the world. I couldn’t wait to get Cooper’s second edition because a lot has changed for New Zealand wine since the first edition was published in 2002 and my last research trip there in 2004. A lot has changed, but a lot has stayed the same, too. The biggest threat to New Zealand’s success has stayed the same: the problem of balancing supply and demand. New Zealand was plagued by boom and bust cycles for many years. Overproduction of low quality wines created a crisis in the 1980s. Many winemaking businesses collapsed and were snapped up by NZ or foreign buyers, leading to the internationalization and consolidation of the industry. The NZ government initiated a grubbing up scheme in 1986 to reduce vineyard plantings, especially of low quality wines, setting the stage for the current boom. New Zealand has been extremely successful in this era of global wine, which has been characterized by high quality, a strong global brand (Marlborough Sauvignon Blanc and now Pinot Noir as well), and a liberal trade regime that accepts high import levels of inexpensive wine as the price to be paid for high levels of higher-priced exports. Despite this success — or more precisely because of it, fear of wine and grape surpluses, price wars and market collapse continue to haunt New Zealand producers — at least those who are old enough to remember the crisis of the 1980s. In agriculture we know that nothing generates a surplus tomorrow faster than high prices today. Cooper’s data make this boom-bust concern easy to understand. New Zealand’s industry has grown rapidly — can it be sustained? Producing vineyard area in New Zealand tripled from 10,000 hectares in 2000 to more than 31,000 hecrates (projected) in 2010. Wine production rose from 60 million liters in 2000 to 200 million in 2008. The number of wineries risen, too, if not quite so quickly: about 600 today, up from 334 ten years ago. NZ domestic wine sales and wine imports have been relatively flat over the last ten years, so essentially all of the increased production has been targeted for export: 87.8 million liters in 2008 compared with just 15.2 million liters in 1998. So far the world market has been wiling to absorb this rising production (and without diluting the NZ brand and the price premium it commands). Can this continue into the future or does Stein’s Law (see note below) apply? A recent Rabobank report on “New Zealand Wine Supply — Testing Limits” provides mixed indicators. Rabobank acknowledges the importance of balancing supply and demand, especially given the world economic crisis, and notes that nature may limit runaway growth. Marlborough is running out of land suitable for vineyards, according to the report. The day will come when the quantities of Marlborough Sauvignon Blanc available … will reach its physical limit and the long term supply and demand outlook looks very favorable for growers and producers in the region. It is vital that in the next 10 years the reputation and bargaining power of producers in this region be maintained in order for the region to enjoy higher returns in the future. In other words, things look good in the long run, it’s the short run that NZ needs to worry about. Persistent short term surpluses could devalue NZ wines from premium products to commodities. That would be enormously damaging to the industry. I have fielded a lot of calls from very concerned and distressed growers — my advice to them is to certainly not spend any more money on any of those blocks … Meantime, they should talk to their accountants and bankers. Gisborne is a major producing area, but it doesn’t have the name recognition abroad of Marlborough, Martinborough, Hawkes Bay and Central Otago. It is Chardonnay country with 52.8% of producing vineyard area in that varietal compared to 8.2% planted to Pinot Gris and less than 4% each to Sauvignon Blanc and Pinot Noir. Chardonnay has become unfashionable — it is not where the market growth is these days. It makes sense therefore that Gisborne might be the first area to feel the combined effects of an overall surplus and shifting demand. What is to be done? The Rabobank study looks to Pinot Gris, arguing that it could join Sauvignon Blanc and Pinot Noir as a leading NZ export wine thereby expanding and diversifying the NZ export market. The expected growth of wine consumption in Asia is one factor in this optimistic scenario, since Pinot Gris is said to pair well with Asian foods. Food friendly and premium price — these are attractive qualities it is said in the growing Chinese wine market, according to Rabobank. Pinot Gris is also thought to be a style that younger wine drinkers will find fun, friendly and easy to like (but also flavorful, unlike certain Pinot Grigio you may have been served …). Michael Cooper is optimistic, too, in his Wine Atlas discussion of the varietal., citing “high potential” and “impressive weights and flavour richness” on both North Island and South wines. Pinot Gris is profitable, too. Made in stainless steel tanks with no oak aging, Pinot Gris is a good cash flow wine. I can’t remember seeing NZ PG on store shelves here in the U.S., however. Perhaps I’ve just missed them or maybe NZ producers are focusing on different markets — Britain, Australia or Asia? — to avoid undercutting Sauvignon Blanc sales here. “Demand for Pinot Gris,” the Rabobank report asserts, “should underpin even greater returns for growers in the medium to long-term.” A good thing, I think, if things hold together until the medium- and long-term arrive (there’s a famous Keynes quote about this, although I don’t think he was talking about wine). There is still the old problem of the short-term supply-demand balance to be worked out. Note: Stein’s Law (named for Presidential economic advisor Herbert Stein, is that if something cannot go on forever it will stop. 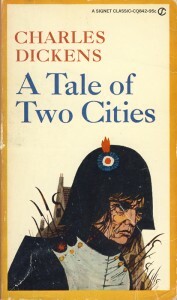 Stein’s point was not that all bubbles burst but rather that market forces tend eventually to rein in unsustainable trends (although not always in a gentle way) and you don’t necessarily need government to do the job for you. I have often argued that to really understand an industry you first need to understand where the bottlenecks are in the value chain. Bottlenecks disrupt the efficient flow of resources and so industries tend to evolve around them. I believe that this observation holds especially true for wine. Herewith a brief update on the current situation. The report provides some good news along with many worrisome observations (click on the link above to download the study) and fresh data on the biggest single bottleneck in the U.S. wine industry — distribution. Here’s the basic math. SVB estimate that there are 6000 wineries actuve in the US market producing about 7000 wine brands. All these brands need to squeeze through the U.S. three tier distribution system bottleneck. This means they need to go from maker (first tier) to state-licensed distributor (second tier) to local retailer (third tier). That’s the law here in the United States, where we still think of wine as a controlled substance. There are only limited opportunities for producers to skip a step. I understand that Bronco Wines, for example, can sell its Charles Shaw brand directly to Trader Joe’s in California because of a legal loophole there, but has to use an independent distributor in other states. That’s why Two Buck Chuck costs $1.99 in L.A. but $2.99 here in Washington State. That extra buck is the cost of the extra distribution layer. Now we get to the big squeeze. These 7000 brands get funneled through about 550 major distributors according to SVB (obviously this does not count many smaller Mom-and-Pop and specialized distributors that I am familiar with), which is about half as many as a few years back. Hopefully you can appreciate the bottleneck — 7000 brands worth $30 billion in retail sales have to squeeze through 550 distributors in 50 states on their way to 76 million wine consumers. Any blockage in the distributor tier backs up the whole industry. And the problem gets worse because the distributors are obviously getting squeezed themselves by the economy — falling sales, trading down, shrinking margins, credit limits and counter-party risk. Expect distributors to consolidate in some cases and pull back to reduce cost and risk in others. The net effect is clear — distributors are reducing their SKUs (stock keeping units to non-economists) and focusing a smaller number of reliably profitable products lines. This means that it is harder and harder for new and niche wineries to get on the warehouse pallet. I’m not sure exactly how this all will shake out, but I suspect the problem will be worse in the middle market. Very small wineries can often successful self-distribute. Very large ones will probably get distribution because of the volumes they can generate. The middle falls awkwardly in between — too big to sell it all yourself, too small to be worth a major distributor’s time. The fact that the distribution system is fragmented into 50 (plus DC) pieces just makes the situation worse. In the same way, SVB data suggest that lower priced fine wines ($35 and less on their scale — remember that a lot of SVB’s customers are in Napa Valley) are still selling pretty well and very expensive icon wines apparently are doing OK, too. The mid-range is in trouble. SVB calls $35-$50 a “gray area” and $50-$125 a “dead zone.” Ouch. I would hate to be a new 3000-5000 case winery trying to sell wine made to be priced in the dead zone. Unfortunately, I think there may be a lot of new wineries coming on line now who planned to do just that back when economic conditions were sunnier. It will take exceptional effort (or truly exceptional wine) to make this business model work in the current economic environment. I recently talked with one middle-sized premium winemaker who has already figured this out and pulled back — lower output, lower prices — to get clear of the dead zone. This is the “missing middle” effect that economists are familiar with in other contexts (small family operations and huge corporate businesses survive, the middle simply disappears). The distribution bottleneck isn’t necessarily the cause of the coming missing middle effect in the wine industry, but it will certainly make it worse.